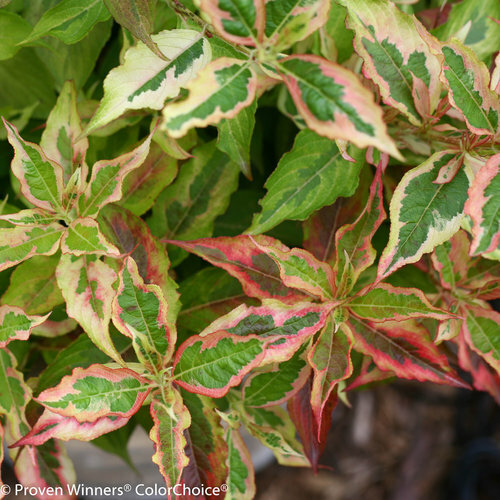 Colorful variegated foliage all summer. 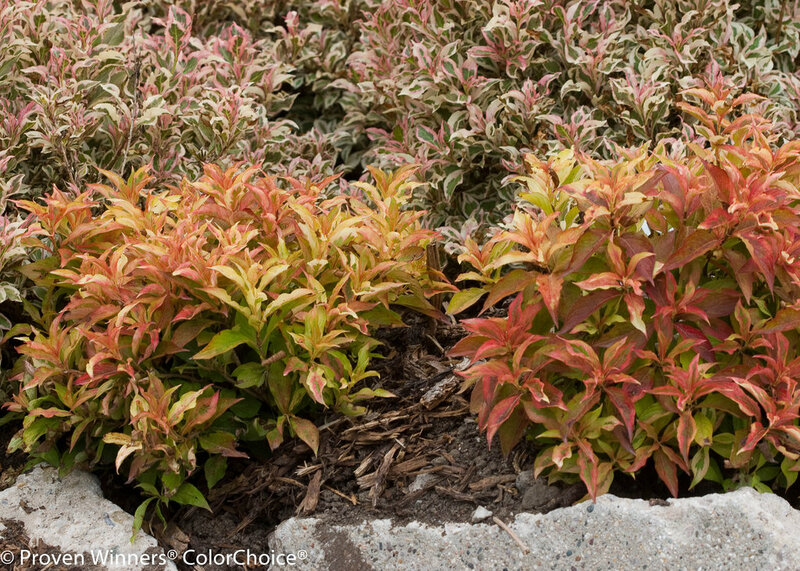 Red fall color. 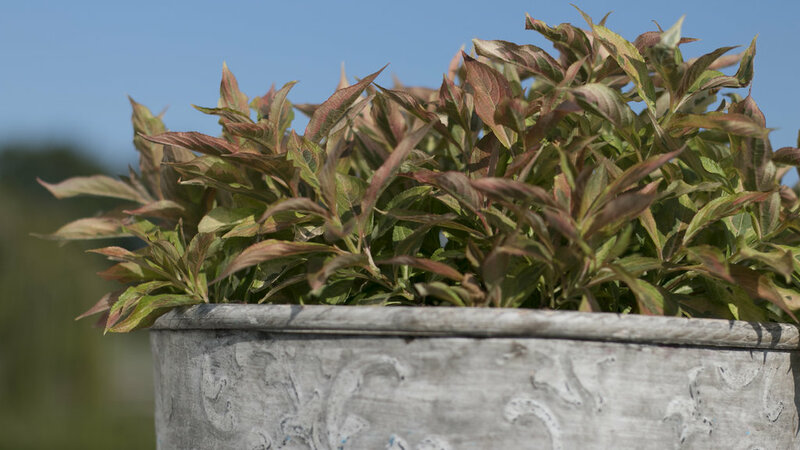 Dwarf. 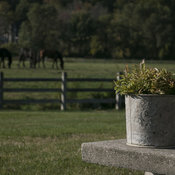 Deer-resistant. 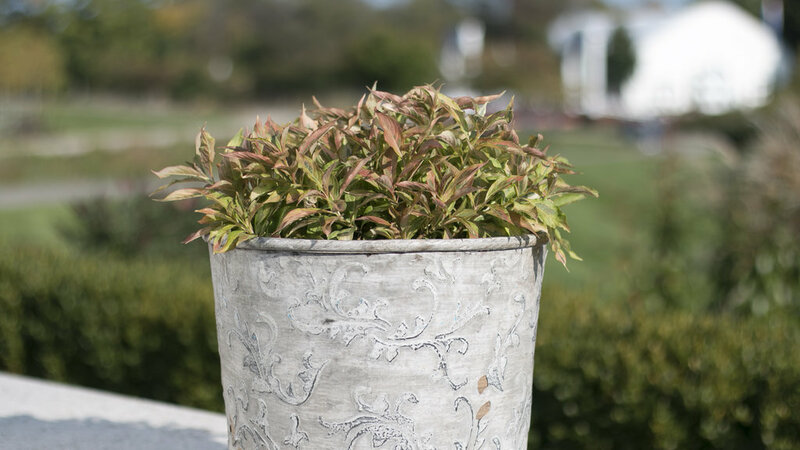 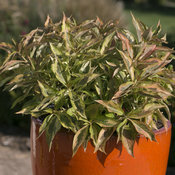 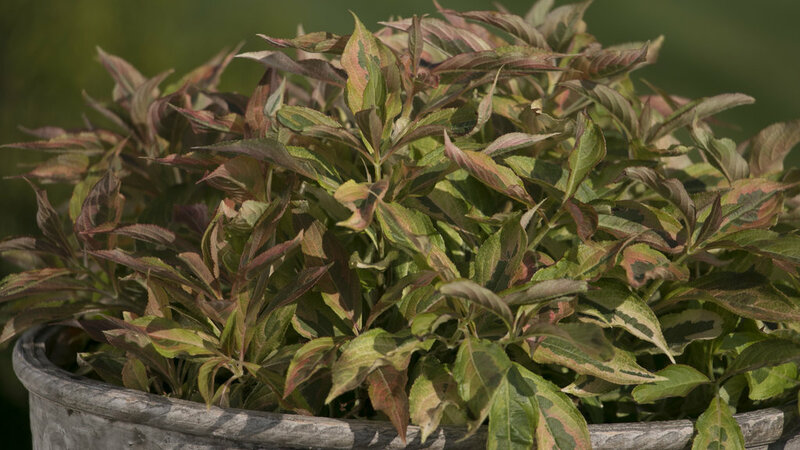 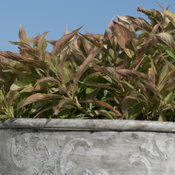 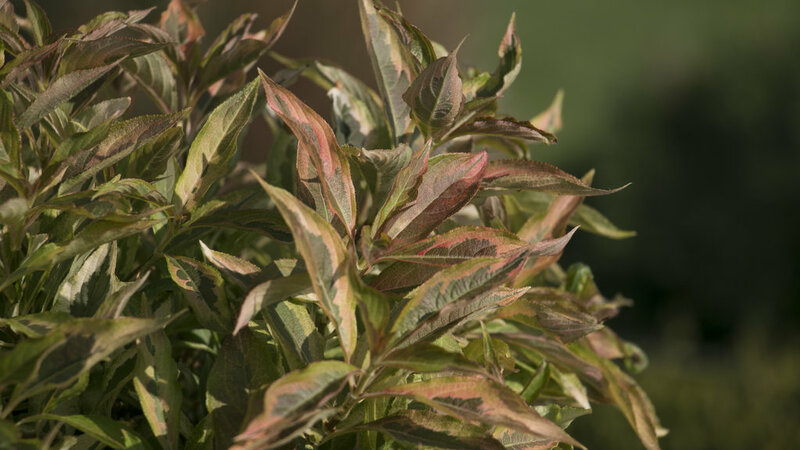 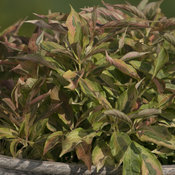 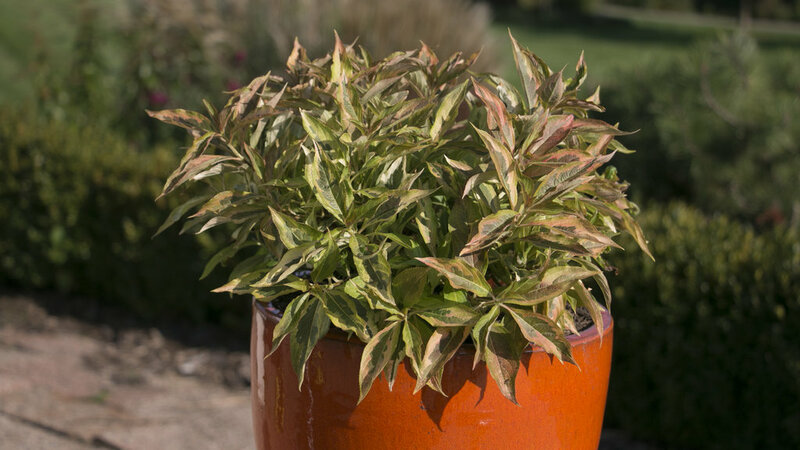 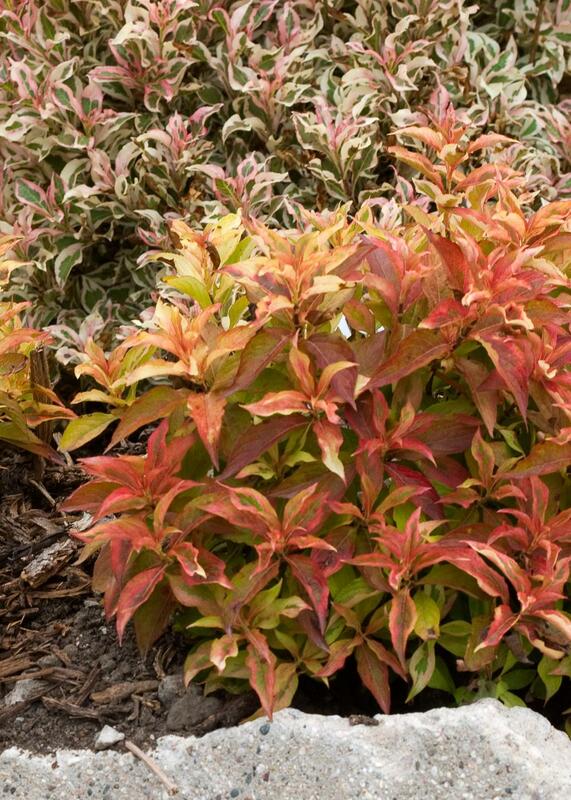 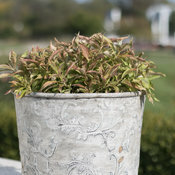 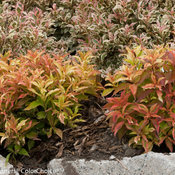 This new dwarf weigela has very attractive gold foliage and nice red fall color. 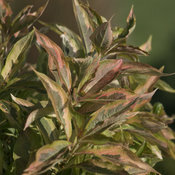 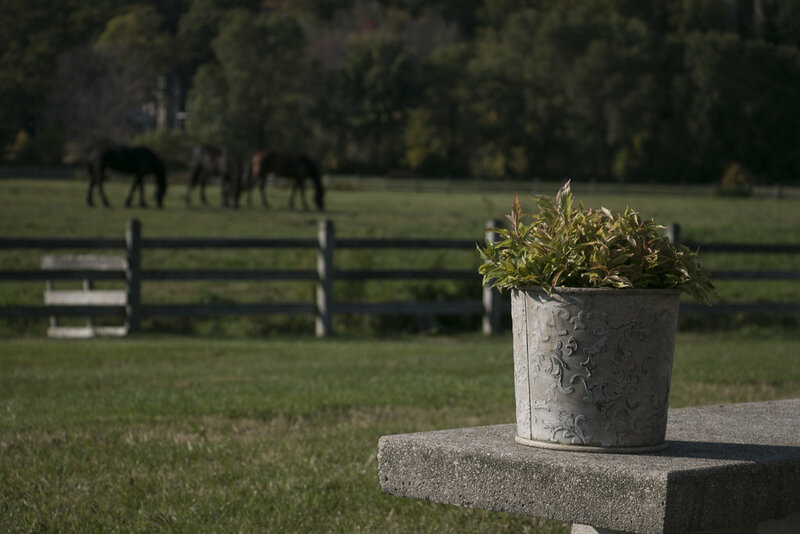 Grown primarily for its colorful foliage, it will occasionally produce soft, rosy pink flowers. 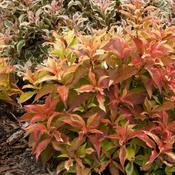 Add it to the front of beds and borders fo multi-season color.